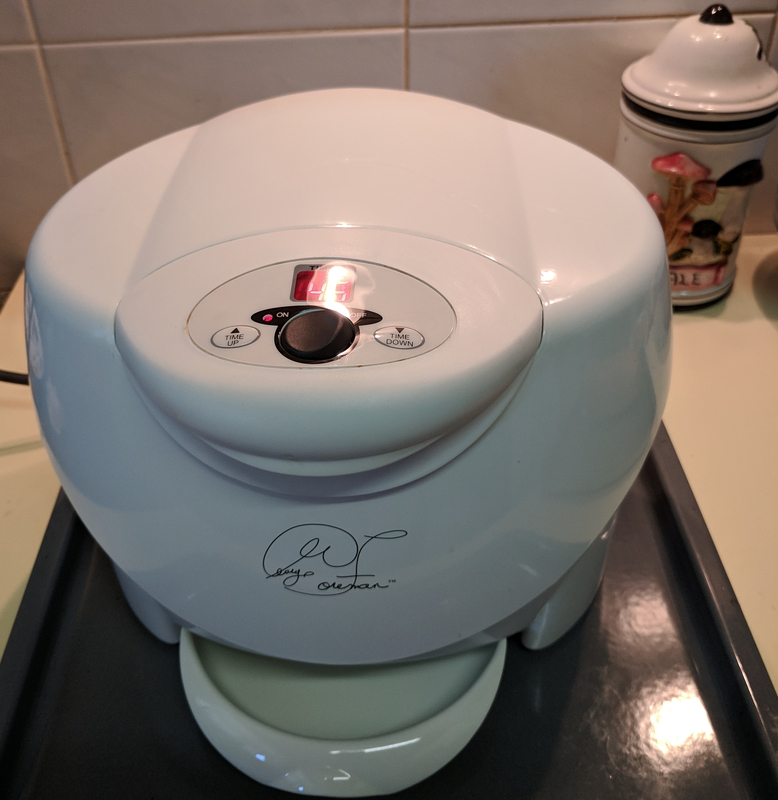 Recently I bought a George Foreman Contact roaster, pre-owned but new and not used. It worked exceptionally well to cook a moist roast chicken easily and with no mess. This recipe uses a bread and herb stuffing to give the chicken flavour. Freshly picked herbs from the garden, sage, rosemary, parsley, celery and onion along with some dry seasonings make up the stuffing. The result is a moist and tender, flavourful roast chicken. If you don’t have a George Foreman roaster I have included the oven baking instructions. A well cooked flavourful roast chicken is always a favourite for lunch or dinner. If you are using the George Foreman Contact Roaster, spray the inner surfaces of the roaster with the Extra Virgin Olive oil spray and preheat the unit. When the roaster is ready place the chicken inside the unit, close and set for 80 minutes. near the end of the cooking time, check the internal temperature with an oven thermometer piercing into the thigh. Cook until the temperature reaches 180ºC. Also test into the stuffing. This should have reached 165ºC . There should be no pink meat and the juices run clear. Add extra time if necessary. When the chicken is cooked remove to a plate, cover loosely with foil and rest for 10 minutes. *Note: A chicken that is stuffed will take longer to cook.